At Spoonbar in Healdsburg, California, Tara Heffernon celebrates the garden. 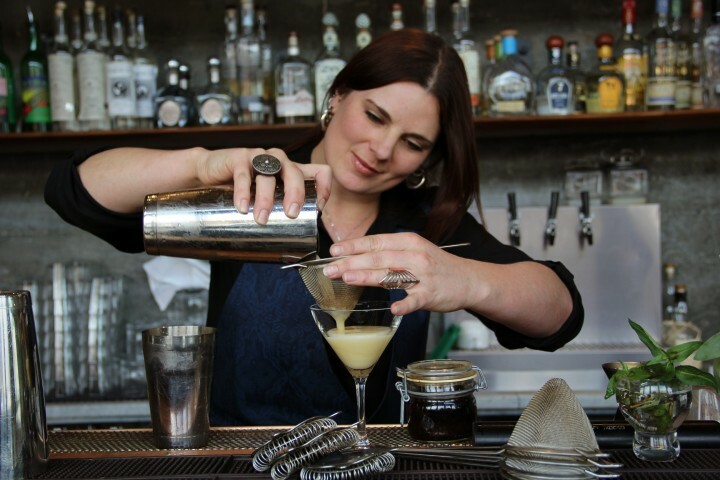 As bar director at Healdsburg, California’s Spoonbar, area native Tara Heffernon finds her cocktail inspiration in local products. Heffernon has come up with methods for extending the shelf life of her fresh ingredients, often in the form of vinegar-based shrubs. These concoctions can preserve a fruit or botanical for weeks, allowing Spoonbar to highlight seasonal produce on the cocktail list for much longer than usual. 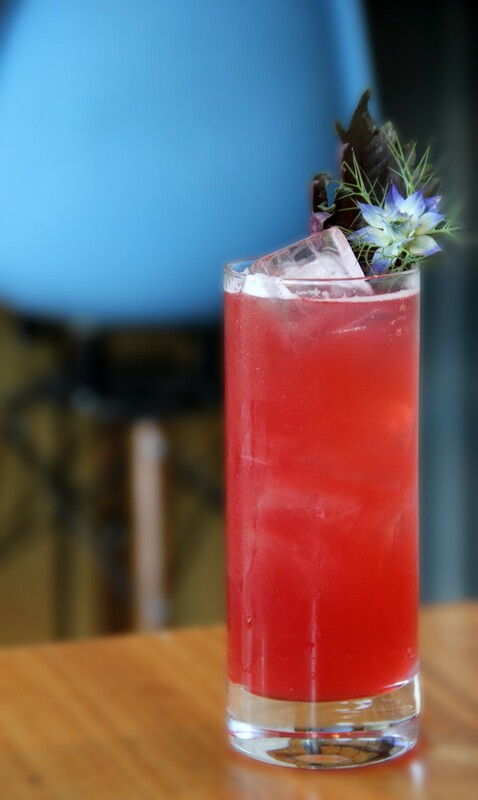 The Shiso Floral combines Plantation 3 Star rum, Spirit Works sloe gin, lime juice, simple syrup and seltzer with a Bing cherry shrub that incorporates red wine vinegar. “It’s a fun way to add a tart, savory layer to a cocktail,” Heffernon explains. Another component to Spoonbar’s cocktail menu is the “Spirit Focus” list, which celebrates a different spirit for each season. Spring emphasizes gin, summer features rum, fall focuses on agave- and grape-based spirits, and winter highlights whiskies. The Antidote, made with Sia blended Scotch whisky, Skinos mastiha liqueur, lemon juice, ginger syrup, Angostura bitters and St. George absinthe, is a cool-weather concoction that remains on the menu year-round. “People are attached to The Antidote because it’s a bright, fresh whisky cocktail,” Heffernon notes. 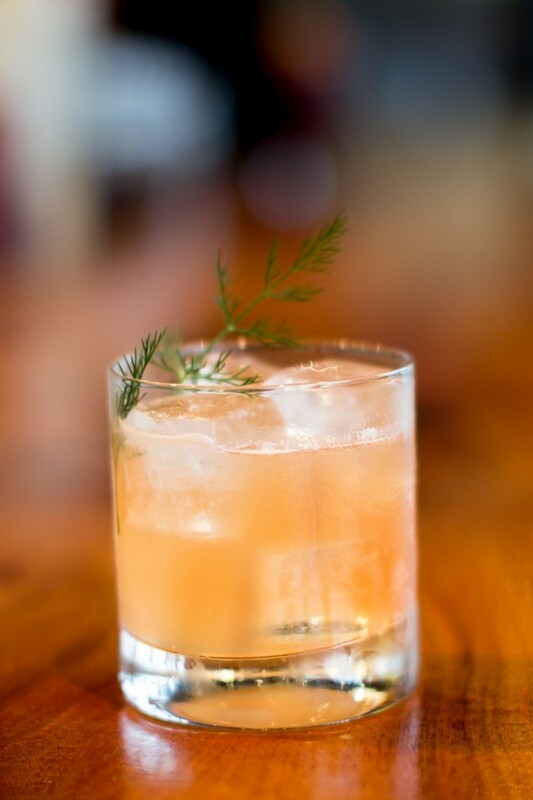 Other top-selling drinks include the Burning Shrub, comprising Tapatio Blanco Tequila, Fidencio Clásico mezcal, jalapeño shrub, lime and grapefruit, and the Madison + 6th, a blend of Bib & Tucker Bourbon, Delord Napoleon Armagnac, Clear Creek Pear brandy, cardamom syrup and Fee Brothers Whiskey Barrel–Aged bitters. The “Cocktails on Tap” menu also features popular options like the Spiked Shandy, mixing Calicraft Cali Cöast ale, Old Grand-Dad 114 Proof Bourbon, Montenegro amaro, Imbue Bittersweet vermouth and lemon oil. In addition to the set menu, Spoonbar creates custom cocktails for its clientele. “We try to find the perfect drink for each person’s mood,” Heffernon says. The venue’s emphasis on boutique producers, fresh ingredients and experimental techniques attracts patrons from near and far. “We are considered a destination,” Heffernon adds. “Because Spoonbar is attached to the H2hotel Healdsburg, we see a lot of out-of-town visitors, and we have a really huge local following as well.” For an area native like Heffernon, the regional connection runs deep. Muddle one shiso leaf in a shaker, add rum, sloe gin, shrub, juice and syrup, and lightly shake. Top with seltzer and pour contents into an ice-filled Collins glass. Garnish with a shiso leaf, a fennel frond and an edible flower. 1Chop fresh Bing cherries in a food processor to make a rough pulp. Combine 1 cup pulp with 1 cup white sugar and store in a refrigerator for three to four days, stirring once daily. Strain the mixture through a chinois and mix with 1 cup red wine vinegar. Combine whisky, liqueur, syrup, juice, bitters and absinthe and shake hard roughly 25 times. Double strain into a rocks glass, top with fresh ice and garnish with a fennel frond. 2Mix 20 drops ginger essential oil with 1 quart simple syrup.